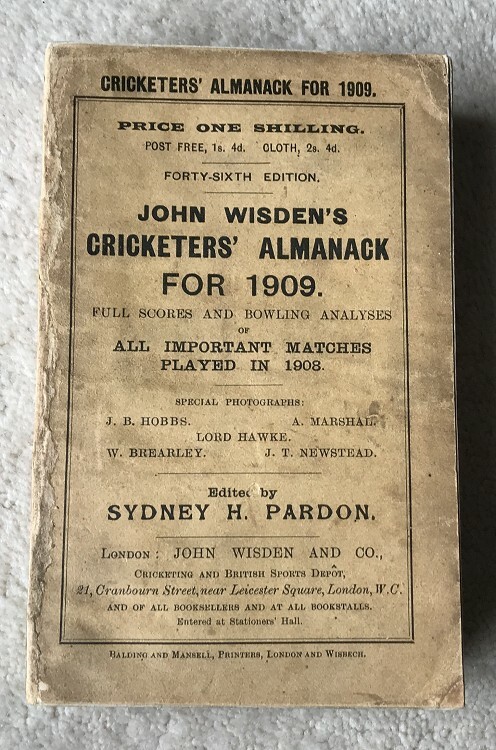 This lot is an 1909 Original Paperback Wisden. The covers have a few marks but pretty good overall , the spine paper has had a touch up as has the rear cover edge and corners. Nice photoplate inside with clean pages , a bit of thumbing as per normal in these older books with a nice straight spine.